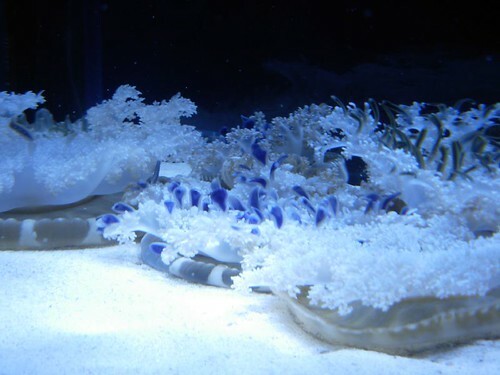 There’s been one thing I’ve wanted to do all summer, that I finally had the chance to do yesterday: visit the jellyfish. 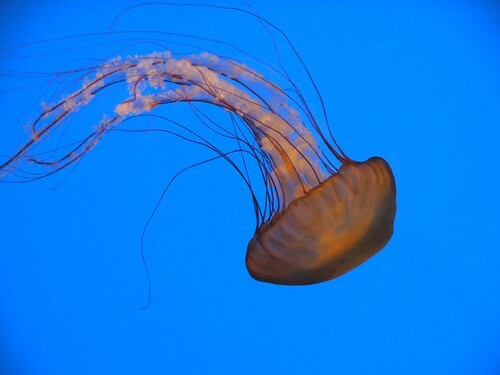 I suppose now is the time to confess that I have had a fondness for jellyfish (weird, I know) since my first visit to the beach in third grade. I felt so sorry for these creatures, washed up on the beach – surely they didn’t want us stepping on them any more than we wanted to feel their sting. So, when the Akron Zoo opened a jellyfish exhibit this spring, I knew I had to go. The Akron Zoo has really improved since the last time I was there (ages ago). They’ve built several new spaces for various creatures (including the jellyfish) and really upgraded their look. Although on the small side, it’s laid out well, and a nice little day trip. However, I really don’t need to see another tiger – been there, done that (the football rival of the highschool I graduated from purchases a tiger cub every year to serve as their mascot). I work at the zoo and have a hard time photographing those exhibits, too. After seeing your really awesome picture of the upside down jellies I may have to try that one again. I think jellies are beautiful. I don’t want to go swimming with them, but I love looking at them. Thanks for the pictures! 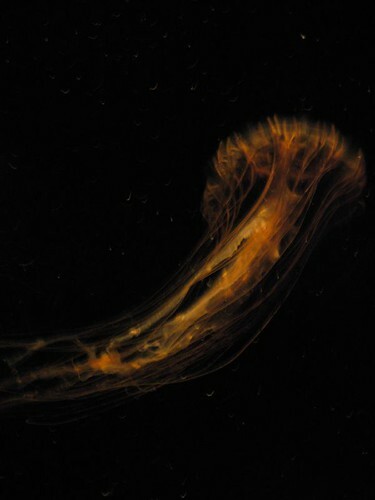 oh the jellyfish are beautiful, I too hsare your love for jellyfish, they are so graceful yet can be deadly. Great photos. love the knitted jelly too.